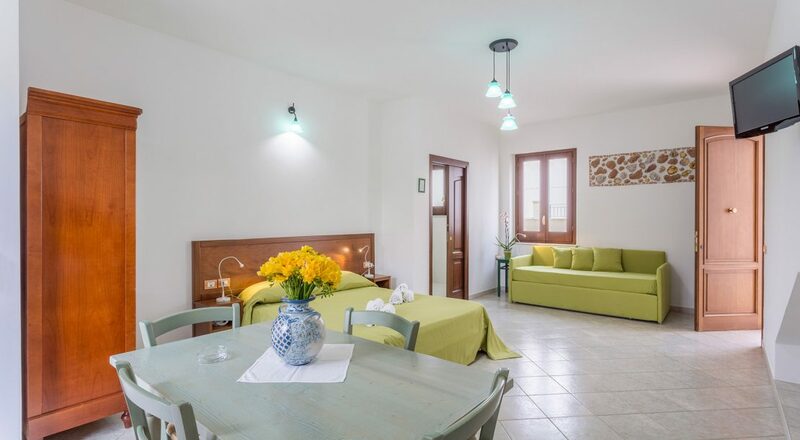 Comfortable, bright and airy apartments for couples, families and small groups of friends. 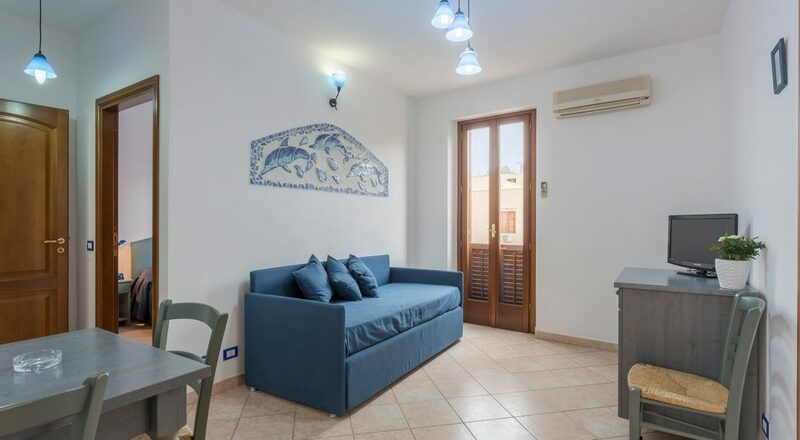 A few steps from the beach of San Vito Lo Capo and one minute from the historic pedestrian centre. You can enjoy full autonomy and our hotel services will not make you think about anything. Discover the accommodations that best suit your needs and all the dedicated services. 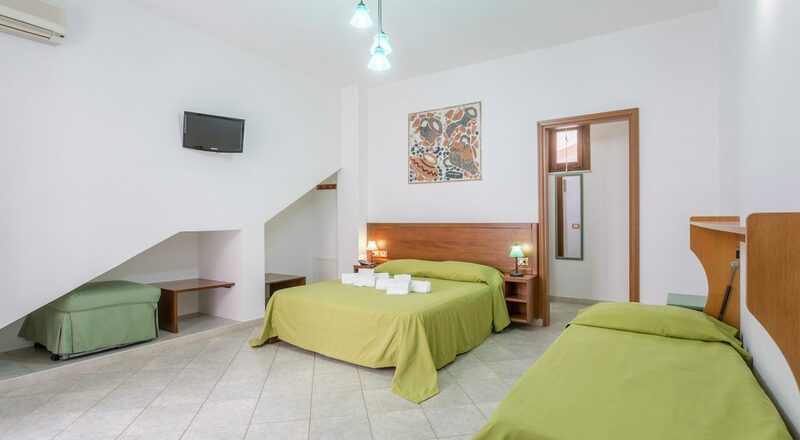 Tesoro is a spacious studio apartment of almost 33 square meters plus outdoor area, comfortable for up to 4 people. 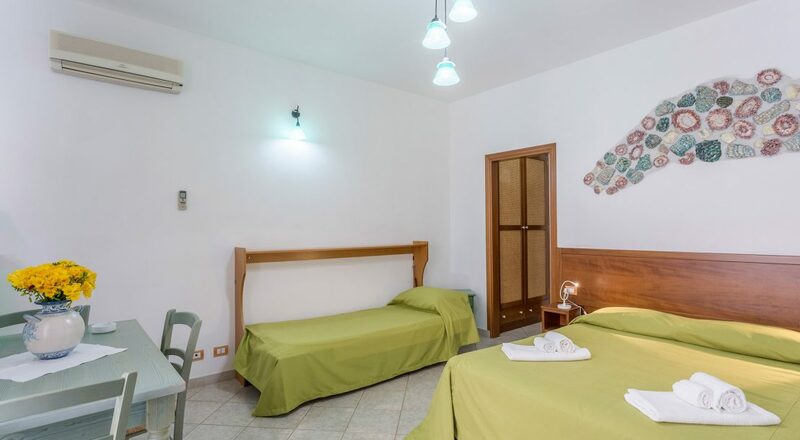 Corallo, Aragosta, Gorgonie are studio apartments located on the first floor of our apart hotel. Madrepore is a comfortable one-room apartment for all travelers, even for those looking for barrierless accommodations. 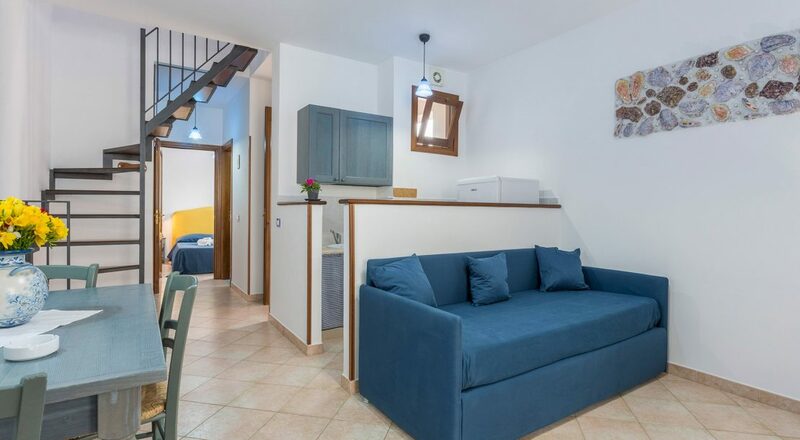 Spugne is a large studio apartment, perfect for those seeking autonomy, even for those who are looking for accommodation zero barriers. 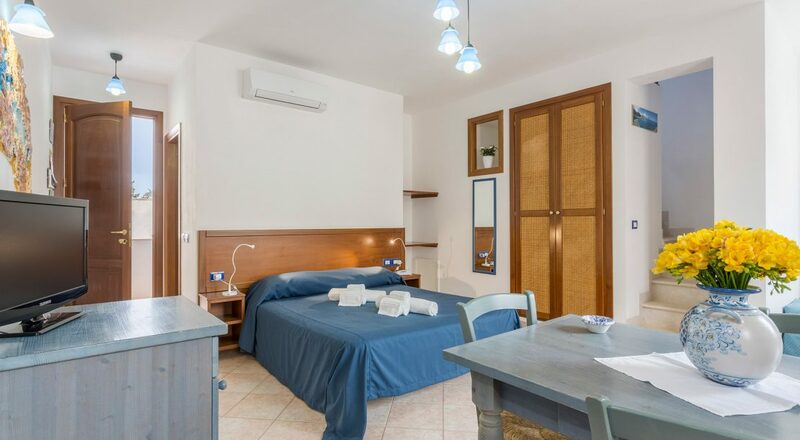 Nautilus, Caretta, Posidonia are two-room apartments 40 square meters plus private outdoor spaces, comfortable up to 4 people. 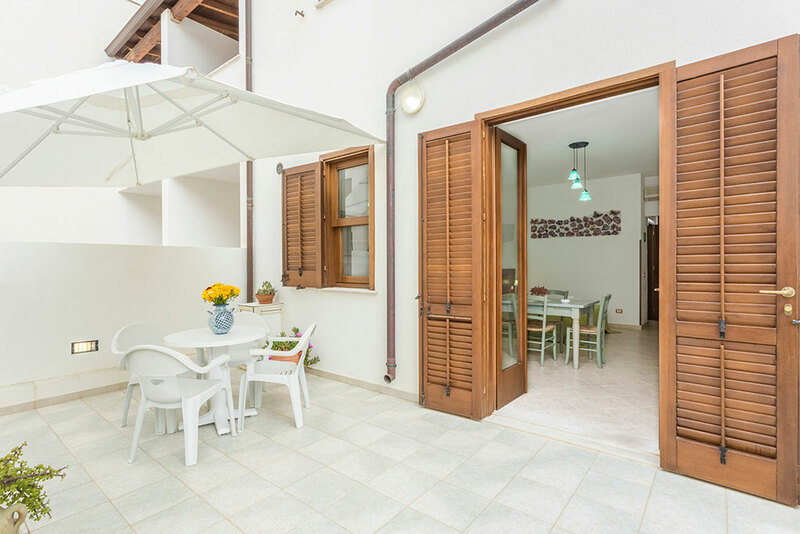 Trottoir, Perla, Meduse, Stella are two-room apartments of 40 square meters plus outdoor spaces, located on the first floor of our apart hotel. 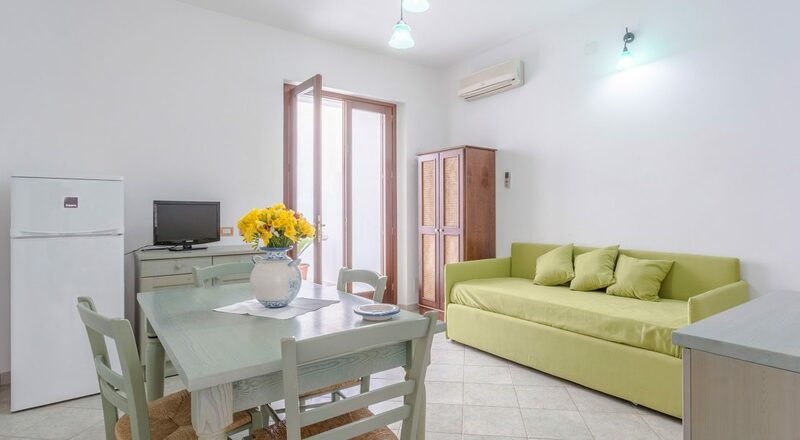 Delfini is a two-room apartment of 35 square meters plus outdoor spaces, located on the first floor of our residence.